Arcot Manor, is situated four miles from the centre of Cramlington and surrounded by countryside, the development combines a rural ambience with the convenience of urban living. Buyers will be able to select from a range of two, three and four bedrooms homes whose specification will include open plan living spaces, ensuite facilities to master bedrooms, a selection of integrated kitchen appliances, gardens, garages or private parking spaces. Local amenities include the Manor Walks Shopping Centre which features high-street stores, supermarkets and independent retailers and is less than 10 minutes’ drive away. Also within the retail complex there is a multiplex cinema. The Concordia Leisure Centre offers a range of facilities including a swimming pool, gym, fitness studio and sports courts. A number of restaurants, cafés and bars can also be found within the town centre. Within the local area is the market town of Morpeth which boasts a number of specialist independent retailers and a very popular weekly farmers market which is held in the market square. The area is ideal for leisure pursuits such as cycling, fell walking and horse riding. Local beaches can be found at Tynemouth and Whitley Bay, a short distance away. For families, the area offers some well regarded local schools including, Cragside Church of England Primary and Beaconhill Community Primary schools for young children, and Cramlington Learning Village for 11-18 year olds. For further education and apprenticeships, Tyne Metropolitan College is 20 minutes’ away by car and Northumberland College’s Kirkley Hall campus is a 15-minute drive from the development; Northumbria University and Newcastle University both provide a variety of undergraduate and postgraduate degree courses. 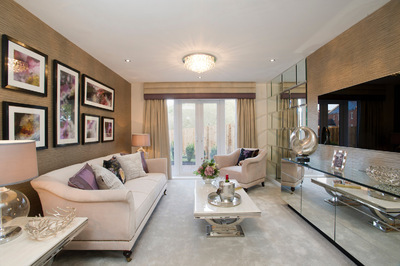 Bellway is able to offer a range of incentives to buyers including the Help to Buy scheme where buyers can secure a new home with a five percent deposit and benefit from a five year twenty percent interest free loan which reduces mortgage repayments during the first five years of ownership. Buyers with a home to sell can take advantage of Bellway’s free of charge Express Mover Service, where Bellway will appoint an independent estate agent to market your home and achieve a swift and satisfactory sale. For more information about Arcot Manor, visit bellway.co.uk.